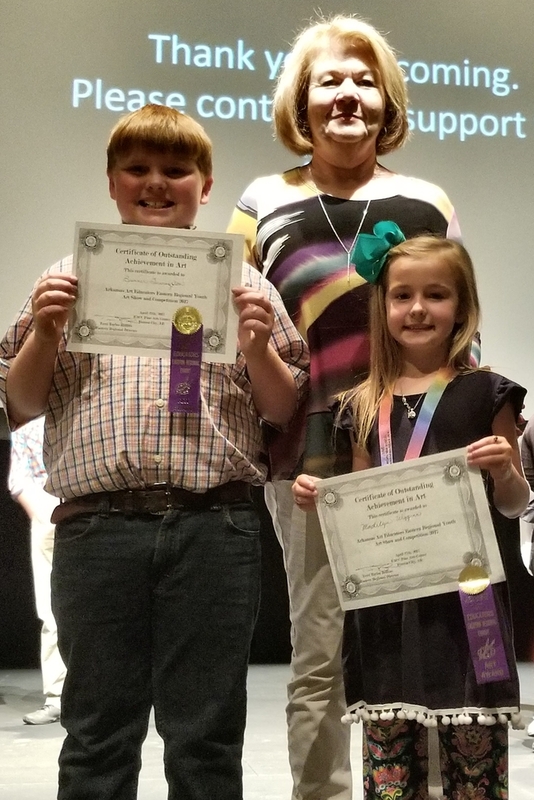 Twelve students were selected from Barton Elementary to display their art work in the Eastern Region Art Show & Competition at the Eastern Arkansas Community College on Thursday, April 27th. Four of the twelve students won 1st place for their grade level. Their art work will be displayed in the Hillary Rodham Clinton Children's Library & Learning Center and will have an awards ceremony on June 10th. Congratulations Madilyn Wiggins (Kindergarten), Tiarah Young (1st Grade-Not Pictured), Gunner Livingston (3rd Grade), and Harmonee Griffin (5th Grade-Not Pictured)!